Today is “Change Your Name Day”. Have you ever wanted to change your name? Has your child ever walked around asking you to call them “Dinosar Matt” or “Princess Sofia” for the day? My mother changed her name when I was in middle school. Yes we really made up her last name! We combined her middle name of Jane which means “gift of God” or “child of God” and the French word “Dieu” which means “God”. Put those together and you have Dieujane…..God’s Child or God’s gift. Seriously, it was one of the most interesting, challenging and healing things for her to do. The judge gave her such a hard time when she appeared in court to make this change, but for her it was one of the pieces she needed to heal a lot of hurt. Names are pretty important. How many famous names can you think of in the next 10 seconds……….?? Now how many people can you name of that you respect in some way in the next 10 seconds…….?? How many people can you name by name in the next 10 seconds that work at your local grocery store, at your children’s school, at your favorite restaurant or coffee shop, at someplace else you frequent often with your children……..?? So, which one was the hardest to come up with? I will guess that for most of us we do not know the names of people we come in contact on a daily basis. Not because we don’t care about them and their purpose or service in our lives, but probably because we are too busy in our own lives and wrapped up in our thoughts. Thinking back though….how much thought did you put into naming your child, it seemed pretty important didn’t it? I bet their parents also put a lot of thought and energy into their names as well, so why not use it? In many religions there are ceremonies surrounding the naming of a child or adult; names are IMPORTANT. As one of my favorite bloggers, Rachel Macy Stafford, mentions in her recent post, a name is something we should pause before saying. We should recognize that the person we are talking to is important and say their name with pride, positivity, friendliness, fondness. When someone says your name, you look at them; you know they are speaking to you; they have something important to say. So why don’t you make more of an effort to find out the names of the people that your family interacts with on a daily basis. They are important in your life. 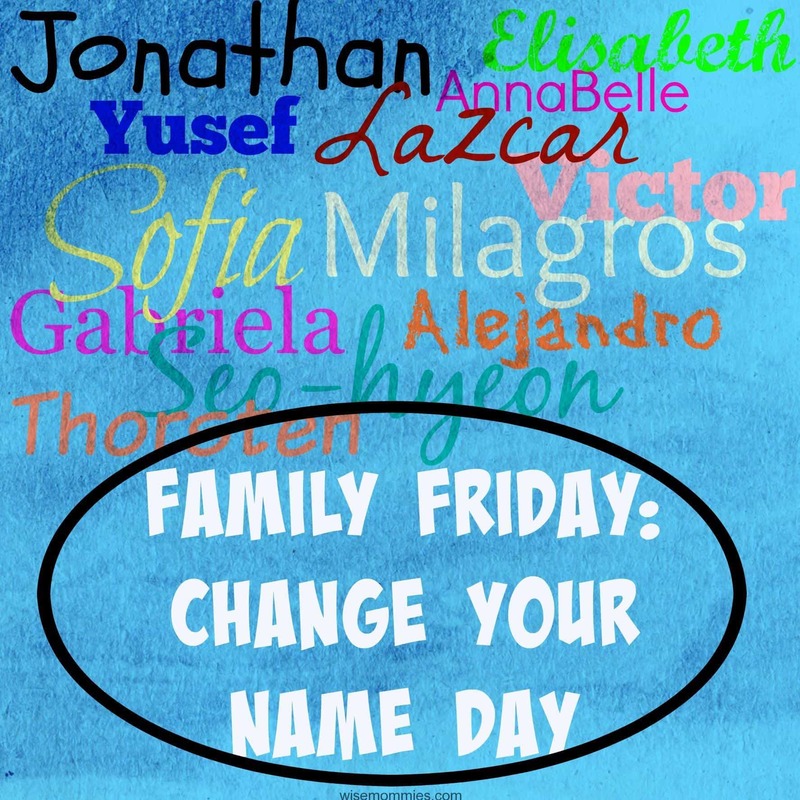 My Family Friday Challenge for you this week is to learn the names of those who you interact with daily. Have your children learn the names of the people who serve them lunch or clean their schools. Talk about the importance of names, if you hear one you are not familiar with, look it up and learn about the history of the name. And most importantly…..use those names regularly. Make these people know you are talking to them and that they are important to you and they matter.